Kabeer, why cry at the death of a Saint? They are just going back to their home. I am sacrifice unto those Gursikhs who get up in the last quarter of night. I am sacrifice unto those Gursikhs who getting up in the ambrosial hours, and bathe in the holy tank. I am sacrifice unto those Gursikhs who remember the Lord with single devotion. 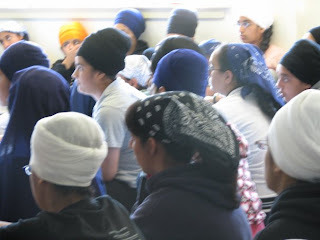 I am sacrifice unto those Gursikhs also who go to the holy congregation and sit there. 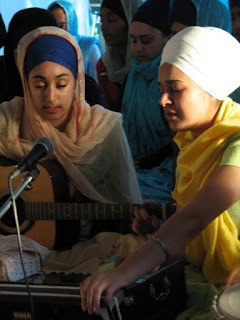 I am sacrifice unto those Gursikhs who sing and listen to Gurbani daily. 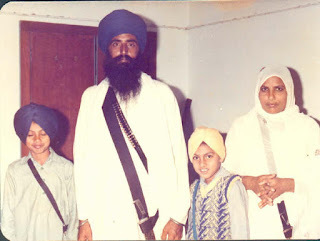 I am sacrifice unto those Gursikhs who meet others whole-heartedly. I am sacrifice unto those Gursikhs who celebrate Guru’s anniversaries with full devotion. 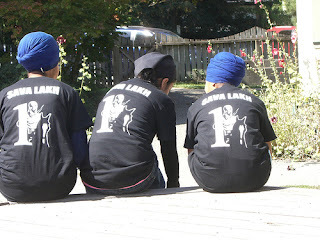 Such Sikhs become blest by the service of the Guru and progress further successfully. O humble servant of the Lord, O True Guru, O True Primal Being: I offer my humble prayer to You, O Guru. O my Best Friend, O Divine Guru, please enlighten me with the Name of the Lord. The servants of the Lord have the greatest good fortune; they have faith in the Lord, and a longing for the Lord. Those who have not obtained the Sublime Essence of the Name of the Lord, Har, Har, Har, are most unfortunate; they are led away by the Messenger of Death. Those humble servants of the Lord who have attained the Company of the True Guru, have such pre-ordained destiny inscribed on their foreheads.